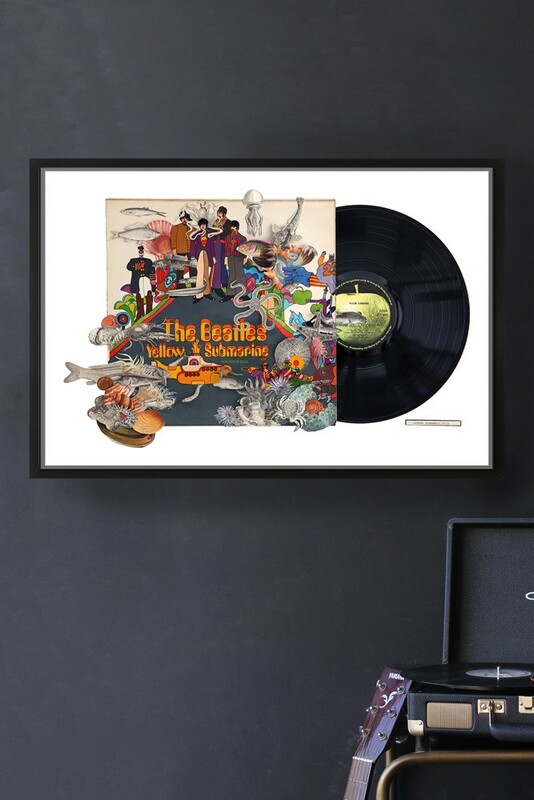 Yellow Submarine was the Beatles 10th album that they released in 1969 and was the soundtrack to the animated film of the same name. 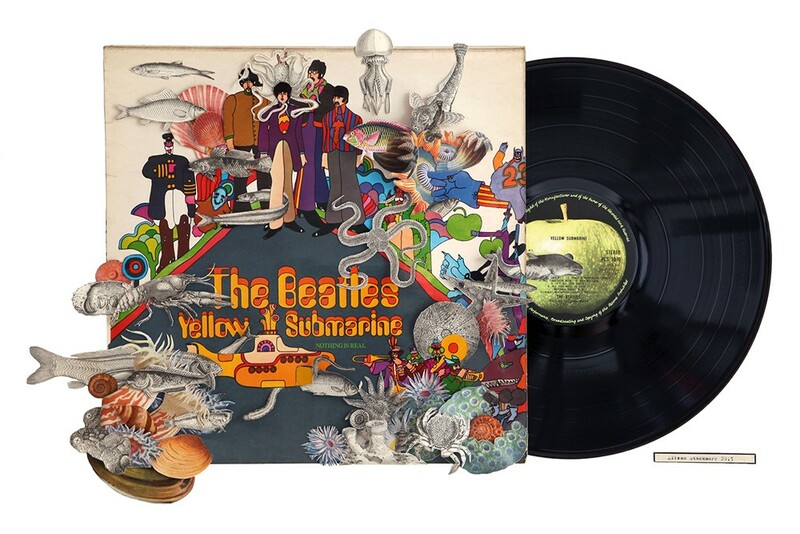 Alison's collage of Yellow Submarine not only highlights the original album cover but also characteristics from under the sea creating a unique image all nestled next to a vinyl record. 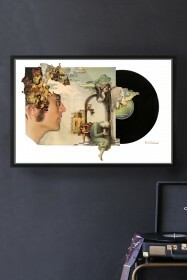 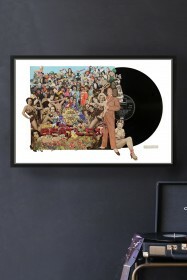 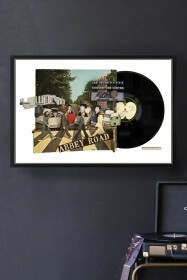 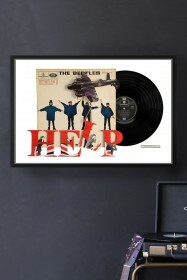 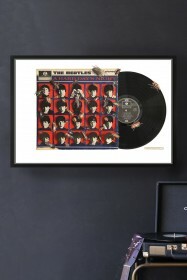 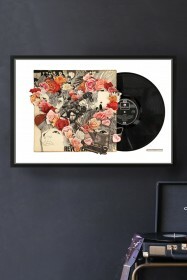 Whether you're a fan of the Beatles, the album and film Yellow Submarine or Alison Stockmarr collages, this print is going to look fantastic in any surrounding and is sure to be a talking point when guests visit.